Pre-Orders for new Nokia smartphones have already begun in Russia and Netherlands and are now also available for Pre-Orders from retailers in UK and Germany. In the UK, retailer Clove has started taking Pre-Orders for new Nokia smartphones and in Germany, you can Pre-Order new Nokia smartphones from Cyberport and Notebooksbilliger. 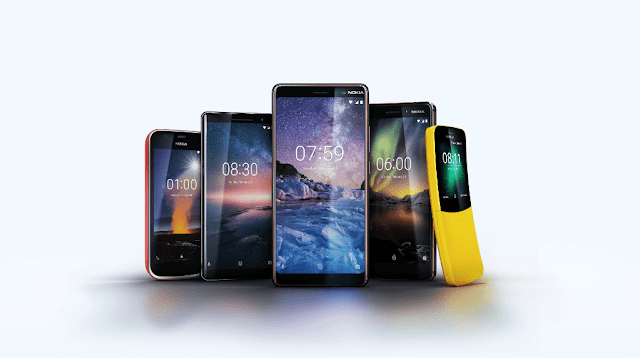 All new Nokia phones except for Nokia 6.1 (Nokia 6 2018) are available for Pre-Order in the UK. If you are from the UK, you can Pre-Order new Nokia smartphones from the links below. If you are from Germany, you can Pre-Order new Nokia smartphones from the links below. As of now, there is no info mentioned about the availability but we can expect the devices to be available between April and May.